Established in 2006, this award is presented yearly to a chapter for its outstanding website. 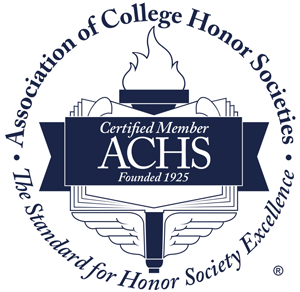 To be considered for this honor, chapters must e-mail their website addresses to the Executive Director by December 1 of the year in question. Websites are judged on the basis of information provided, navigability, appearance, innovation and current maintenance. The selected chapter will receive a handsome plaque.